There's A New Bachelor-ette in Town! 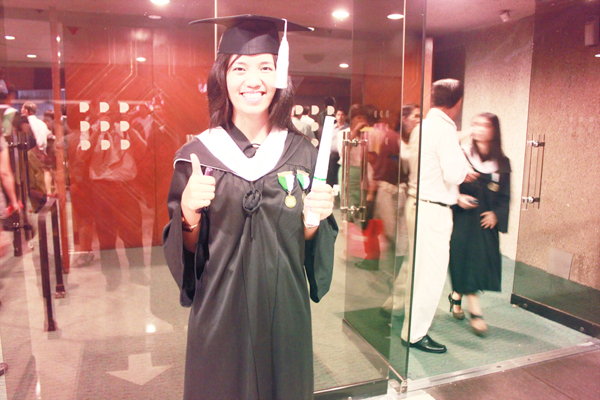 And so, as of 12 noon yesterday, I officially have my Bachelor's Degree in Arts major in Communication arts! 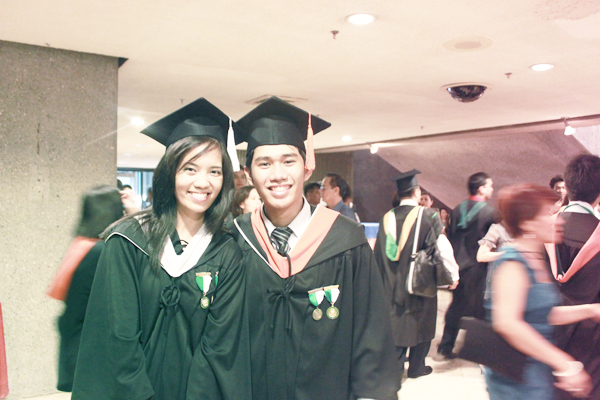 The Commencement Exercises was held at the Philippine International Convention Center (PICC). 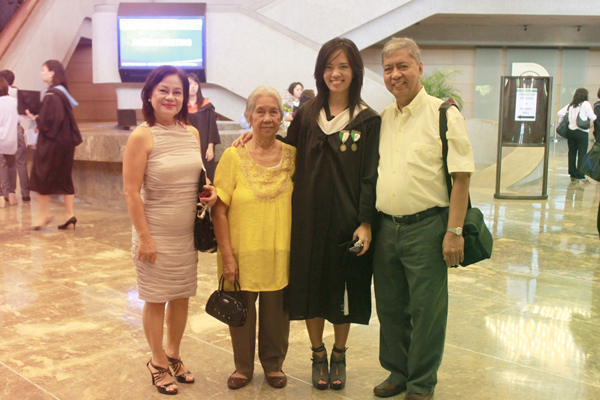 Graduates were asked to be there around 7:00 a.m. because they were to have us assemble at 7:30 a.m. And since it was a first-come-first-served seating arrangement for the guests of the graduates, my parents and grandmom already went with me even though the program was set to start at 9 a.m. It was a long morning, but it was all worth sitting/standing through. Despite the tired feet from all the standing, it was well worth it because at the end of it all, as we threw our caps in the air (and probably hit some people on the head too! Ha ha ha), we knew this is the fruit of all our sleepless nights, missed meals, and overworked brains. Hard work does pay off and it pays so well! It's such a rewarding feeling! 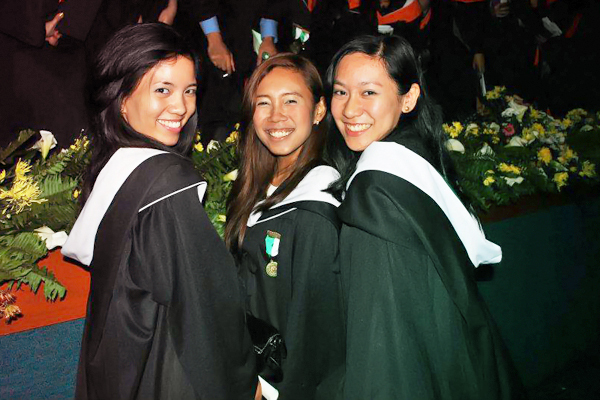 Former Writers' Guild presidents, me (2010-2011) and Raffy (2009-2010). After the program, it was a must that I met up with friends and had photos taken with them. My camera was with my dad most of the time since I couldn't lug the DSLR with me, so some of these were taken by my dad while some were actually from my friends' cameras. 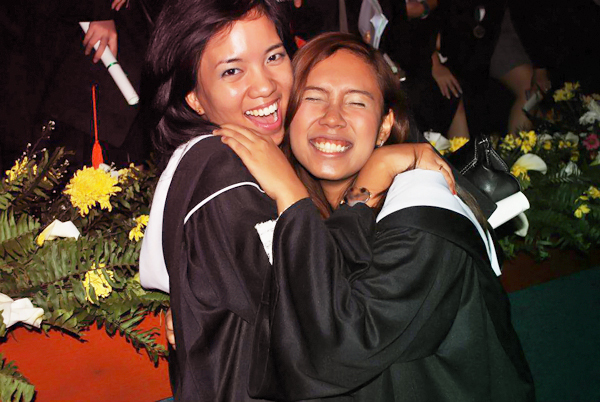 My closest college friend and 'BFFAT' (best friend for all terms ;p). 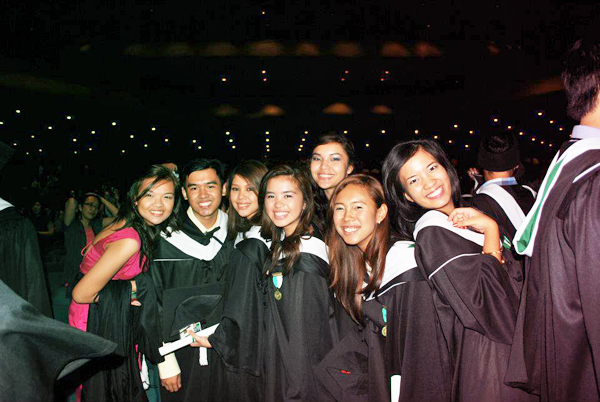 Congratulations to the second batch of DLSU Centennial Graduates 2011 , especially to my fellow Communication Arts majors!